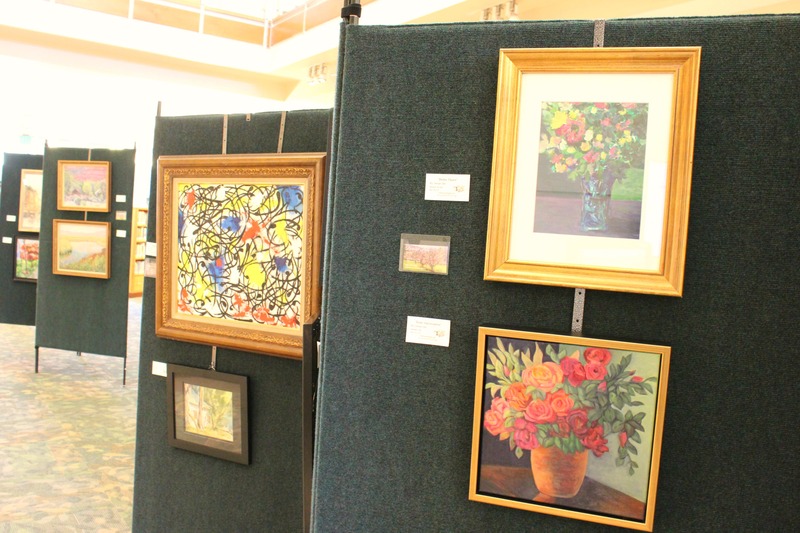 On the morning of Sept. 8, a handful of artists from the Sunnyvale Art Club gathered at Santa Clara’s Central Park Library to set up an exhibit showcasing the members’ original art, which reflected a diversity of subjects. Penny Nolan’s oil painting, “Ballerina Magic,” reveals the stamina of a young ballerina performing en pointe. The fervor of Kandinsky is summoned in Tien-Tien Hsu’s “Rhapsody,” an abstract oil painting of concentrated swirls and bursts of color. Meera Chandrashekar’s acrylic painting “Mom” celebrates the intimacy of skin-to-skin contact between a mother and her baby. Judged by artist Jane Hofstetter, the exhibit will be up through Sept. 28. Chris MacDonough, organizer of the library exhibit, shared that 15 artists contributed an estimated 50 pieces of art to this show. One of several oil paintings that MacDonough contributed included “Red Barn,” which shows a rustic man-made structure in harmony with the natural grassy fields dotted with golden sunflowers. Johnson explained that the City of Sunnyvale had once sponsored the club, which originated in 1959. Due to the city’s budget cuts, the club now raises money on its own to pay for the meeting room it rents from the Sunnyvale Community Center. Raised funds also help pay the artists who perform demonstrations at meetings. Denise Sils, President of the Sunnyvale Art Club, commended members who have organized events, like this library exhibit. She described the artists in the club as “amazing” and pointed out that the club’s art teachers are additional assets. For this exhibit, Sils contributed a number of paintings, including the charming palette of pastels that is the acrylic-based “Belles Fleurs” (meaning “beautiful flowers” in French). 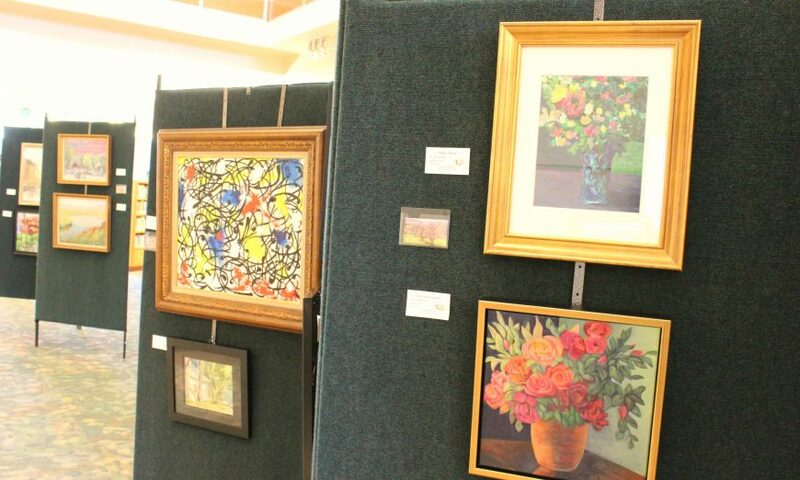 Artists from any area of residence can join the Sunnyvale Art Club. Visit SunnyvaleArtClub.org for information about membership benefits and meetings.